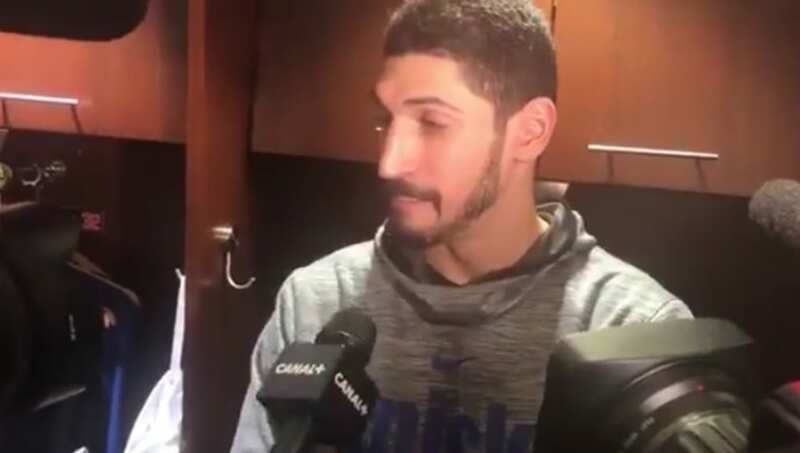 Enes Kanter is known for being ​notoriously upfront about his emotions. That's part of the reason why he's so beloved by New York Knicks fans, although it has also made him a polarizing figure. And he kept true to his character when asked about his feelings on head coach ​David Fizdale potentially giving ​newcomer DeAndre Jordan minutes over him. ​​Kanter made it very clear that he had great respect for DeAndre Jordan, especially on the defensive side of the ball, but he found it disrespectful that despite his time with the team, they'd hand over a mentorship role to a player who just arrived via trade. Fizdale and Kanter have not seen eye-to-eye for practically the entire season, especially on the subject of Kanter's playing time. He's averaging 14.0 points, 10.5 boards, and 1.9 assists per game as part of the Knicks' tanking effort ahead of the 2019 NBA draft. ​​Kanter was sure to reiterate that he has absolutely no qualms with the Knicks' front office. It's clear, though, that this continuing quarrel with Fizdale has gotten under his skin.